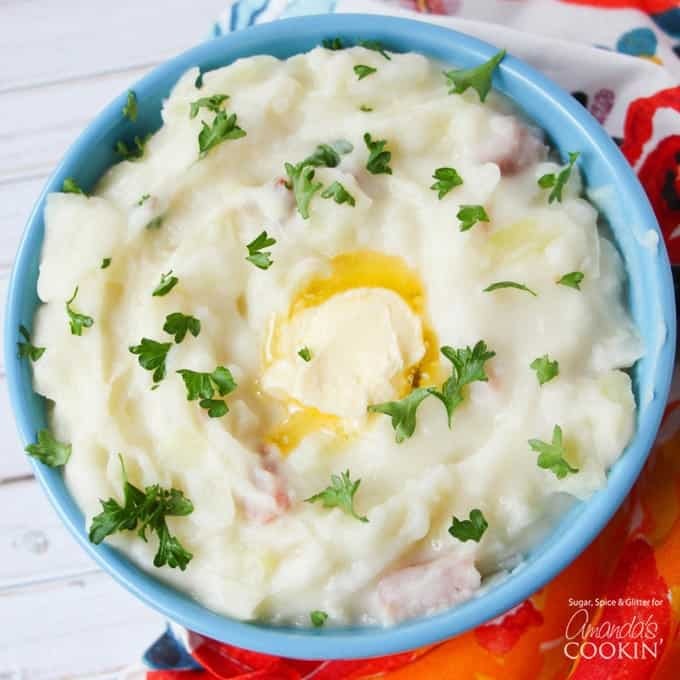 Colcannon Mashed Potatoes are, in my opinion, the king of mashed potatoes. 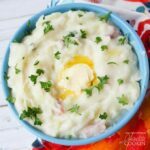 They are the creamiest, silkiest mashed potatoes from scratch and are taken up a notch with little morsels of ham or bacon, sauteed cabbage, and generous bits of butter. These potatoes make a perfect dinner side dish! Growing up, my dad always preferred buying and making dehydrated mashed potatoes – the kind that came in a packet. They were so much easier to get smooth and were a lot less work compared to peeling, boiling and mashing real potatoes. And while I’m definitely not anti-convenience (as some of those packet potatoes are actually not bad when it comes to ingredients), once you taste proper colcannon you’ll have a hard time going back to the more convenient options. If you have a bit of extra time to make potatoes from scratch – this is the recipe you should spend your time on. It even reheats well which I cannot say for the dehydrated variety. 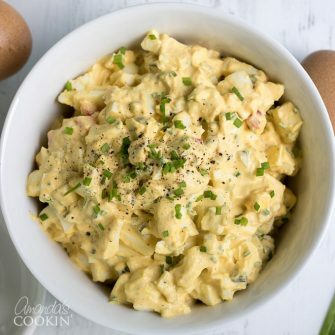 This is a great traditional Irish side dish that is hearty enough to serve as an indulgent lunch or afternoon snack and Saint Patrick’s Day is the perfect excuse to whip up a batch – although, once you taste it, you’ll be able to come up with any excuse to include it in your meal planning! Even if you skip the cabbage, scallions, and ham (although, on the first batch you definitely should include them) this method of making potatoes shows why the Irish are rightfully known for them. 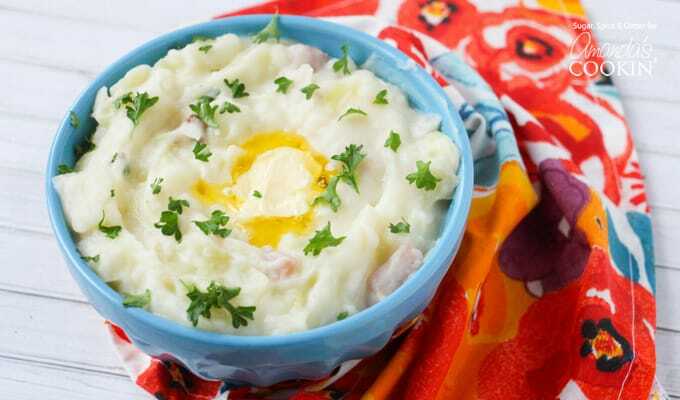 Have you ever had Colcannon mashed potatoes? You can make these potatoes as a side to your Corned Beef and Cabbage! What are your traditional comfort food recipe favorites? 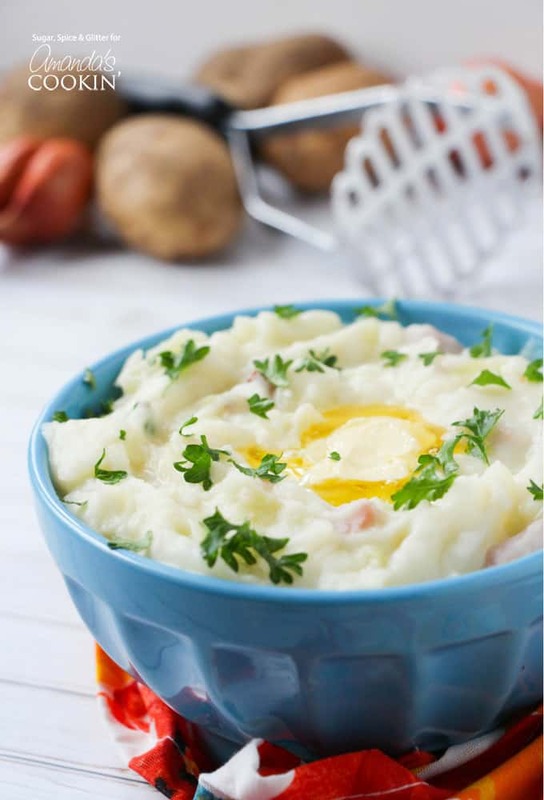 Colcannon Mashed Potatoes are a traditional Irish side dish that is hearty enough to serve as an indulgent lunch or afternoon snack. Potatoes are my #1 vegetable. This is on my dinner menu tonight along with y lemon and herb pork chops and fried cabbage and onions. Great? Sounds like a delicious dinner Carol!